Robert D. Smith, Bob, Vice President of Sales and Marketing for Fluorogistx LLC located in Greenville, DE. was one of eight recipients of the Wire and Cable Manufacturers’ Alliance’s (WCMA) 2015 Distinguished Career Award. The award was presented to Smith during the 31st annual Awards Dinner Ceremony on March 28, 2015, in Hartford, Conn. at the Connecticut Convention Center. The WCMA’s board of directors selects the new yearly recipients from those of strong character and credibility who have made significant commercial or technical contributions over a minimum 25-year industry career. “I am honored to receive this distinguished award from the WCMA. The Wire & Cable Manufacturers’ Alliance (WCMA) is a non-profit trade association for manufacturers of electrical, electronic and fiber optic wire and cable with an established manufacturing base in North America, including the producers of signal and current-carrying wire and fiber, the producers of bulk cables, and wire and cable processors. 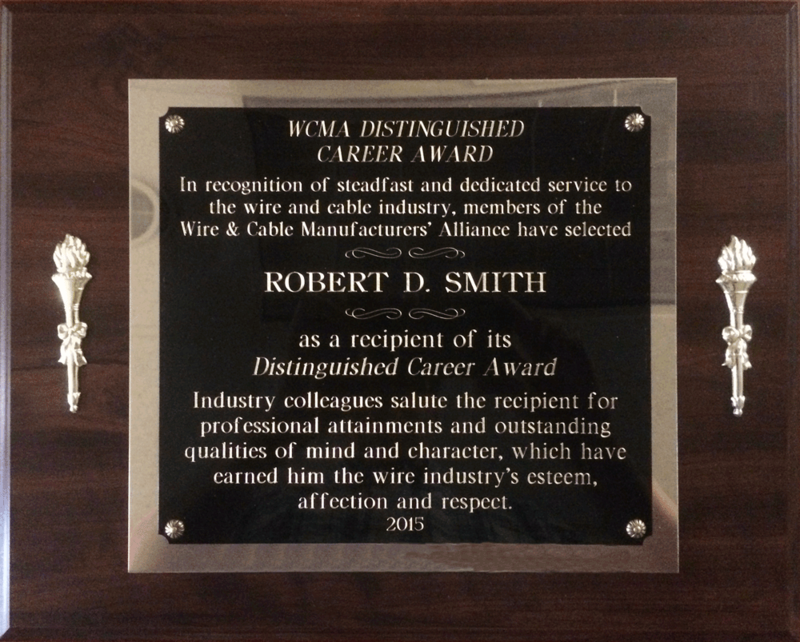 WCMA was established in 2004 as the successor organization to the Wire & Cable Clubs of America which began the Distinguished Career Award in 1984. WCMA currently has 80 corporate members, with nearly 250 company representatives, concentrated mainly in the northeastern United States. Bob, a class of 1980 Purdue Chemical Engineer, has 35 years of experience working in the Fluoropolymers industry. 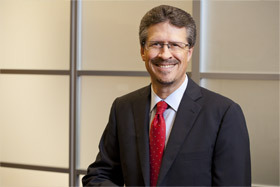 He held various U.S. website statistics and International Sales, Marketing and Business Director positions at DuPont before retiring in 2012 to join Fluorogistx to lead Sales and Marketing. Fluorogistx LLC was established in 1993 as Delaware Marketing Services, Inc., a sales agent for DuPont Teflon® fluoropolymer resins. By 2009, it had become a full-service distribution firm with fully stocked inventories, a dedicated field-sales force, in-house technical support, a large customer service team, and a proven logistical process for meeting customer needs. Today, Fluorogistx continues to be the premier U.S. distributor of high-performance Chemours (vice DuPont) Teflon® fluoropolymers, with strong ties to the customers it serves. Two decades after its establishment, Fluorogistx remains committed to delivering on the promise of its founders: to not only supply the best products for the most demanding applications, but to also be a valued business partner customers can turn to for all their fluoropolymer solutions.